The Social Psychologist, Peter Weinreich, who has died aged 76, was best known for initiating and developing Identity Structure Analysis. Born in Pembury, Kent, in 1939, he was the son of German immigrants. He was the younger of two children; his brother, Helmut was born in Germany seven years earlier. Peter had an isolated childhood as the child of migrant parents. He grew up with an abiding sense of the challenges of being migrant – a status that was to form the impetus for his lifelong focus on issues of identity and belonging. In spite of this, Peter excelled academically, gaining in confidence and passing his eleven plus examination to take a place at Ealing County Grammar School for Boys. On leaving secondary school, Peter enrolled for a degree in Physics at Manchester University; and after graduating, he embarked on research in Biophysics at Manchester. However, he found that it was the application of his knowledge to the problems and challenges of identity formation and development that was to drive his lifelong intellectual inquiry. Having developed a curiosity about education and the functioning of society, he transferred to Kings College London where he undertook a PGCE. He completed this in 1963 and used it as a stepping stone to one year’s study of Psychology at University College London. Soon after this, he enrolled for a doctorate in Social Psychology at the London School of Economics, under the supervision of Hilde Himmelweit. Here, he also developed an interest in sociology, anthropology and the history of science – all of which were highly influential in the development of his doctorate thesis and ultimately, his unique integrative approach to identity. Following his PhD, Peter undertook a two-year Postdoctoral Research Fellowship at Sussex University. In 1971, after a year as a Lecturer at the London Hospital Medical College (now The Royal London Hospital), he became a Researcher in the SSRC Ethnic Relations Unit in Bristol. Here, he formed associations with sociologists and race relations scholars such as Michael Banton and John Rex. He joined the School of Psychology at Ulster University in 1978, where he held a Personal Chair until his retirement, and subsequently remained as Emeritus Professor until his death. The core of Peter’s life’s work was Identity Structure Analysis (ISA). ISA is a powerful and uniquely innovative approach to analysing and understanding identity formation and development. Its integrative conceptualisation of these processes is operationalised through the custom-designed computer software, Ipseus. ISA presents an emphatically interdisciplinary approach to identity, which integrates key insights from psychology, sociology, and social anthropology, and which seeks to understand societal and psychological processes, as they impinge upon individual identity development within a social milieu. Fundamental to the ISA framework is the assumption that people are agentic, social, and developmental beings who define and redefine their experiences in light of subjective interpretations, personal identifications, and identity aspirations. From this perspective, it is centrally concerned with the structural representation of the individual's existential experience, in which the relationships between self and other agents are organised in relatively stable structures over time, but which become further elaborated and changed on account of new experiences. Identity is seen as an active, ongoing process of appraisal and sense-making, through which the individual continually defines and redefines his/her own location within the social nexus, but simultaneously retains a sense of subjective continuity across socio-biographical contexts. Ipseus software provides the tools to empirically operationalise and explore these processes. Through Peter’s keen and dedicated tutelage of several generations of students, there remains a lasting legacy of ISA doctoral theses, and ongoing research in a range of academic, clinical and other professional contexts. Peter had many interests outside of academia, including gardening, music, and politics. He was an avid supporter of the arts and keenly pursued his love of fine art, literature and music, frequenting theatre wherever or whenever he could. Even while at Ealing Grammar School, Peter organised a group of boys into a musical appreciation society and took them up to London to concerts including Carmina Burana – a favourite of his. While studying at Manchester, Peter’s interest in theatre led him to persuade three of his student friends to act in his production of Becket’s Waiting for Godot. He also edited an arts magazine, Enigma. 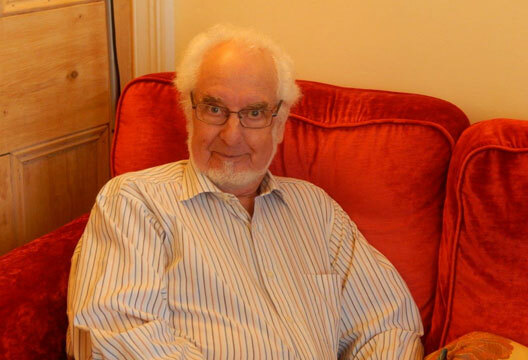 Peter followed politics and current events with a keen interest and was a lifelong committed socialist with a strong interest in the welfare of marginalised groups, refugees and ethnic minorities. Some of his research in Bristol was with its sizeable Black community and in Northern Ireland, his interest was in both Protestant and Catholic communities. He also supervised students doing research into minority communities in Britain, research that allowed for the use of both an ethnic language and English in completing the instruments of ISA. Those who knew Peter will have many fond memories of him: his imposing and unusual appearance; his love of music and the arts; his serious yet sensitive nature; his committed political views and passion for intellectual debate; his courage in the face of illness; the depth of his feeling and caring for his friends, family, students and colleagues; and the strength of his passion and commitment to making the world a better place. Peter’s students, many of whom are now academic colleagues, remember him fondly, as a patient, kind and generous teacher and friend. Today there are active groups of ISA scholars, clinicians and other professionals in many countries across the world, including Hong Kong, Estonia and others. ISA continues to have a global reach. Peter was married to psychologist Helen Haste between 1963 and 1978, with whom he had a daughter, Joanna. He leaves a partner, Mehroo Northover. - By Dr Karyn Stapleton, Senior Lecturer and Course Director Communication, School of Communication, Ulster University; and Dr Wendy Saunderson, Senior Lecturer and Subject Director, Social Policy, School of Criminology, Politics & Social Policy. Ulster University.